Dean Bernadette Jacobs welcomes everyone to the Media Arts Student exhibition. She also led the group in a moment of silence in memory of Anita Quintana. At far left is Peter Taussig, media arts chair. Next to Jacobs is Linda Cassel, SFCC Art on Campus director. 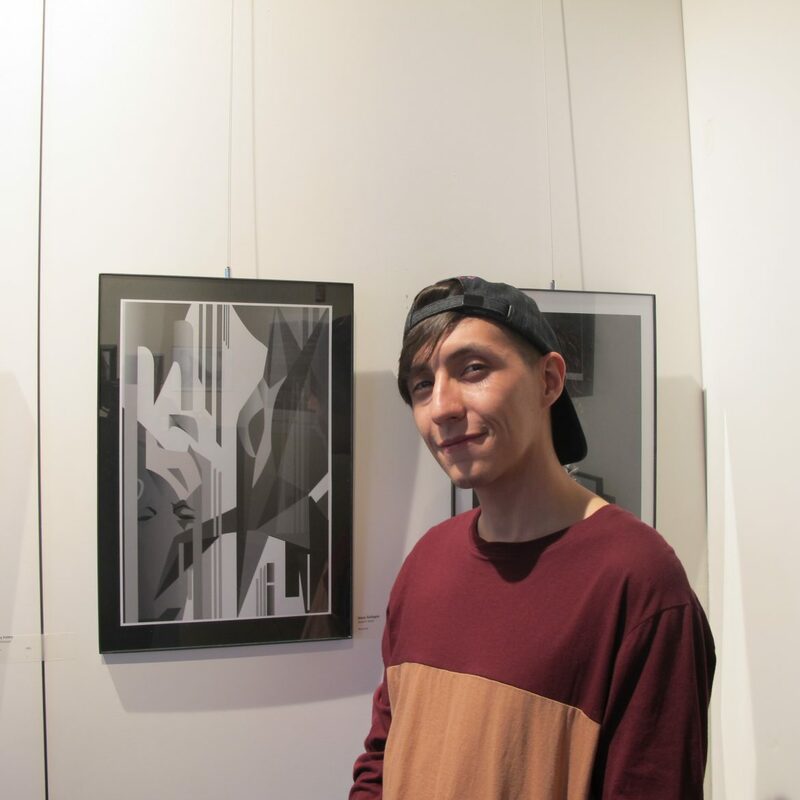 SFCC's interim president Cecilia Cervantes congratulates Media Arts student Jesus Gallegos as they stand next to his artwork. "Motion." 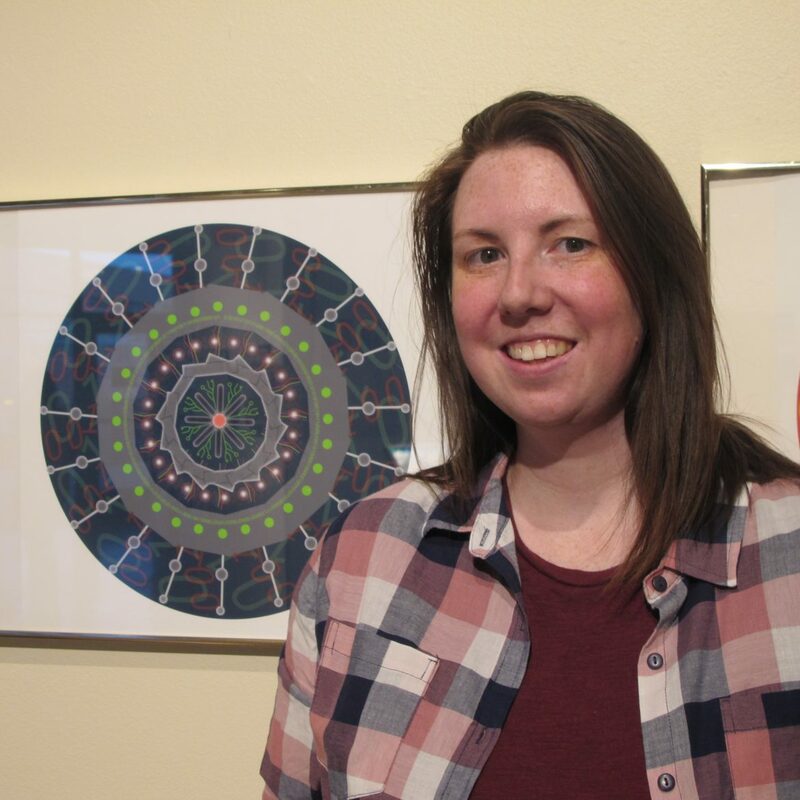 Jessie Woods stands alongside her piece, "Transparent Dreams" incorporating Photoshop skills along with a lightbox that she created. 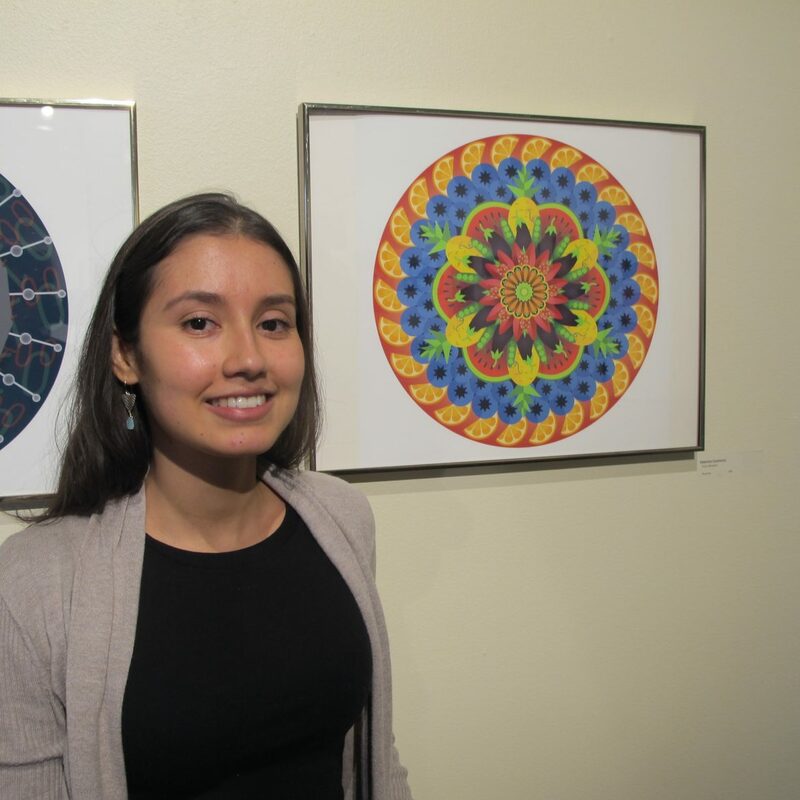 Katerine Contreras has many of her pieces in the show. On the left, her popular typography artwork, "Frida" was used in the logo to promote the show. 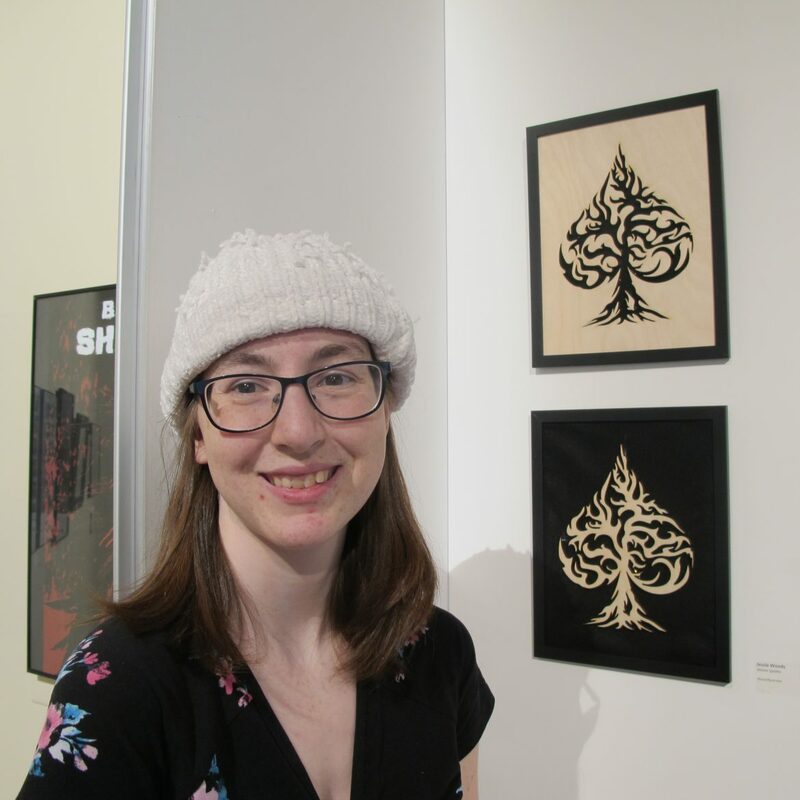 Michelle Carlson stands near her artwork, "Forest Friends," which incorporates digital painting and Photoshop. 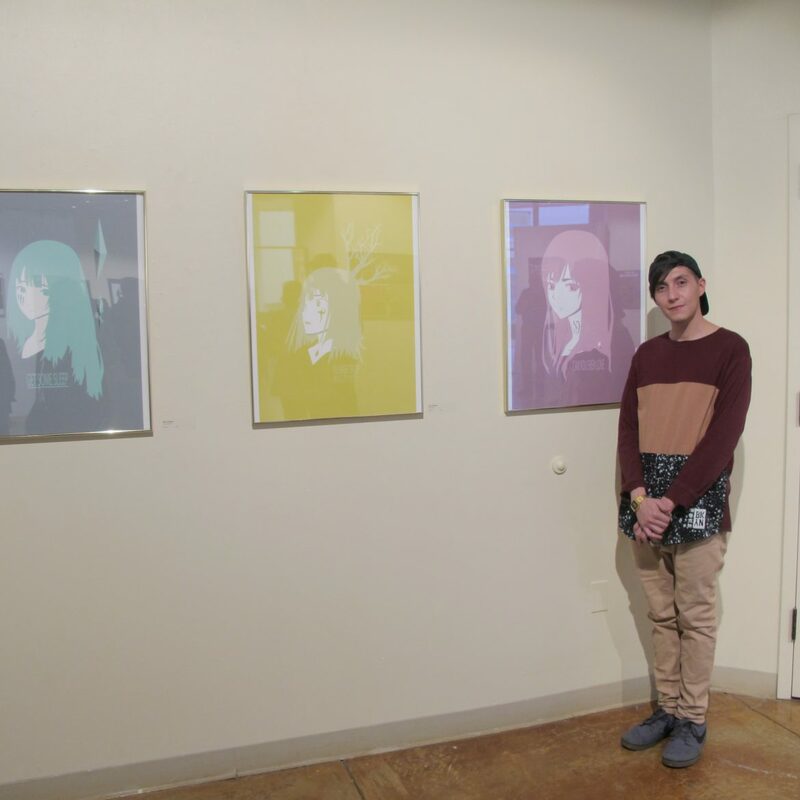 A Media Arts Student Exhibition is on display in the Santa Fe Community College Visual Arts Gallery through Friday, April 12. The exhibition, “Confluence: direction + delineation” includes work incorporating animations, video, photography, Photoshop, digital painting, typography and advanced digital projects. Also, the outside display case features a tribute displaying work by students of long-time media arts instructor Anita Quintana, who recently passed away. 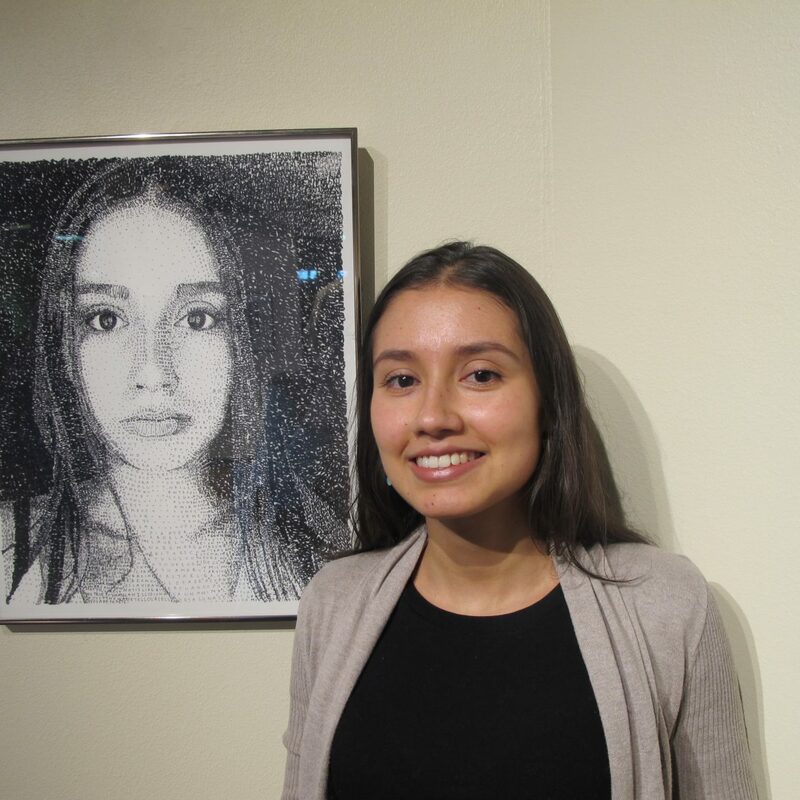 SFCC’s Visual Arts Gallery on campus at 6401 Richards Ave. in Santa Fe is open to the public, 8 a.m. to 5 p.m., Mondays through Fridays. Admission is free.